Writers Ask: Suicide, Don’t Do It | Book Fight! This week, Tom and Mike tackle questions about literary magazines, small presses, and stories that end in suicide. Plus: the proper etiquette for asking a question, the pros and cons of diamond floors, and ruby-studded teeth. Free wisdom, people. You can thank us later. Or you can start thanking us now, by clicking on the Powell’s button over there on the sidebar. Anything you buy once you’re on their site will result in a little kickback–er, “donation”–coming our way. Plus you’ll be supporting a great indie bookstore. 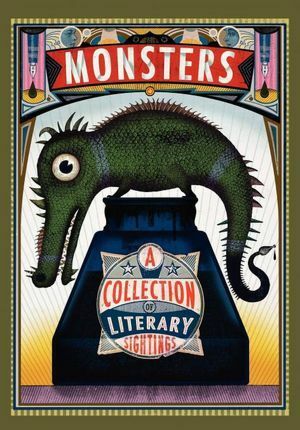 One book you might want to check out is the anthology Monsters: A Collection of Literary Sightings, edited by B.J. Hollars and featuring stories from Laura van den Berg, Michael Czyzniejewski, Matt Bell, Benjamin Percy, and many others. As always, you can listen to the show right here, by clicking on the little player deal below, or you can download the mp3 file and do with it what you will. Or check us out in the iTunes store, where you can always download the latest episode or subscribe (for free) to stay on top of what we’re doing. This week’s end-of-show music comes from the Danish indie-rock duo The Raveonettes, who, like Mike, are staunchly anti-suicide. Got questions for us? Just click on the ‘Fight Back’ link at the top of the page, and send your query barreling through the Inter-tubes toward our brains. Or you can Tweet your questions at us, using the hashtag #WritersAsk. Categories: Episodes | Tags: Hammer, lit mags, publishing, Random House, small presses, Vegas, Writers ask | Permalink.